Mayor Hall opened the October 8, 2018 Council Meeting at 7:00pm. Council reports included Councilmember McGlashan’s comments on the Seashore Transportation Forum attended by Councilmembers McGlashan and McConnell. The meeting covered a lot of material including the status of the pilot project study of a road usage charge of 2.4 cents/mile, and the closing of the Alaskan Way Viaduct for at least three weeks beginning January 11, 2019. Commuters should expect delays and congestion since all buses will be on surface streets downtown, and all Aurora traveling buses are expected to be running late. It is recommended that people who work in Seattle select optional ways of getting to work such as biking or walking, or eliminate the commute by working from home or even taking a vacation. Councilmember Roberts attended the 25th Annual Affordable Housing Conference. On behalf of Shoreline, he presented the City’s plans for modular housing (at 198th) and the inclusionary housing around light rail stations. As an aside, he stated Olympia is proposing zoning changes to include duplex, triplex and small apartment zoning in residential areas to address a lack of buildings this size. The City Council had dinner with the School Board just prior to today’s Council Meeting to discuss ongoing joint operations. Mayor Hall attended elected officials summit for climate collaboration. Eric Friedli, PRCS Department Director, presented the Staff report for the single Action Item: Discussion and Update on the PROS Plan. No formal action by Council is required at this time. The PROS Plan provides a long term vision and framework for the City’s Parks, Recreation and Open Spaces (PROS) programs including maintenance and investment in related facilities. The PROS Plan includes 11 specific and measurable initiatives designed to respond to the needs of the growing community and to show visible results. Expand opportunities to connect with nature. This is a request consistently expressed by residents. Outdoor camps and outdoor art exhibits were mentioned. The goal is to move from the current 28% to 35% of programs that include nature based components. Serve the Full Spectrum of Adult Recreation Needs. A team is working with a consultant to put together a strategy to address these needs. A current assessment shows little in the way of gaps in these services to “aging adults” with the exception of the senior center which is located in an older facility. Cultural Services and Art - supporting diverse communities. Shoreline wants to encourage participation in special events that reflect the diversity of our community. Examples include bilingual presentations and flyers, and contracting with local artists who can provide varied ethnic performances. A methodology to measure the current status and success of this initiative is still being developed. Cultural Services and Art - enhance place making through public art. The goal is to install at least one permanent significant piece of art by 2019 and three smaller pieces by 2023, as well as to continue to offer temporary performance art such as the popular Piano Time. As with all things, implementation is budget dependent. Parks and Open Space - enhance walkability in and around parks. Surveys show that the number one thing people want to do in parks is to walk - regardless of the distance. As a result, the objective is to create 2 total miles of new nature trails within parks and 2 miles of enhanced pedestrian access to parks by 2023. There have been complaints about the new trail at Hamlin Park because of its appearance. It may look white and shiny new right now, but within a year it will be covered in pine needles and blend in with the surroundings. Administration - ensure administrative excellence by attaining certification for the accreditation of Parks and Recreation Agencies. Documentation for 135 of 151 met standards has been compiled. The desire to achieve accreditation has encouraged the development of new guidelines and standards that have been converted to manuals, as well as increased safety and security practices. The following four initiatives will be presented to the Council over the next several months for more discussion and decisions. Recreation Programs and Facilities - build a community/aquatics center (CAC) The goal of this Initiative is to put a proposal before the voters by 2020 and open the new facility in 2022. A preferred site has been selected and site-specific design and costs are currently being prepared for a 59,000 sf facility. Additional input was requested from the community at two summer events. As the site-specific concept is further developed, it will be turned over to the cost estimators to work in conjunction with the designers to bring design and construction within budgetary constraints. Right now they are working with $75million which includes land acquisition costs. Early next year the design and estimated cost will be presented to the Park Funding Advisory Committee for consideration. Recreation Programs and Facilities - expand Recreation Facility opportunities The PROS Plan would like to maintain the current ratio of recreation amenities per capita. Although that goal is not expected to be met, listed objectives include community garden, basketball and other outdoor game courts, playgrounds and paths. Concept designs for nine park sites in eight parks include these amenities. The question becomes how to build these amenities into the budget. Later this month they will be presented to Park Funding for funding options. Parks and Open Space - ensure adequate park land for future generations To maintain the current number of acres per capita would require the addition of 95 acres.This is not a realistic goal since land is limited and expensive, so the aim is to add 5 acres of new parkland by 2023 and an additional 20 acres by 2030. Initial letters stating interest in possibly acquiring property have been sent to property owners in the vicinity of 185th and 10th NE. No offers are being made as this strategy remains under development. Administration - secure sustainable funding This objective is to use an appropriate mix of funding sources including Park Impact Fees. (Note: A park impact fee is a one-time payment by new residential development to pay for capital costs of facilities needed to support the new development. Park impact fees are charged during the building permitting process and used to fund projects to maintain levels of service of Shoreline's park system. These were adopted July 31, 2017 and went into effect January 1, 2018 /pc). A Park Funding Advisory Committee consisting 16 citizens representing all neighborhoods has been established to review various funding options. Councilmembers discussed the size of the Community/Aquatics Center. Due to the age and condition of the current pool, there is no question that it needs to be replaced. And there are no other pools in the City that can accommodate its multiple purposes. The YMCA pool, for example, cannot meet the needs of the School District and its swim teams. The Spartan Gym, which provides the City’s only gym and weight room services, is owned and located on land owned by the School District. If the School District requires use of the building, or there is a change of use of the land it occupies, there will be no gym facility for the city. Building the Community/Aquatics Center piecemeal as needs surface is not the best option because, like city hall, an addition several years after the initial construction will always look and feel like an addition. City Hall was designed and built with growth in mind (the third floor was not initially occupied). Even though designed for growth, it was not large enough and the building still had to be expanded. Property purchased around 185th and 10th NE must be coordinated with Seattle City Light because of the power lines. City Light is sensitive to what goes under the power lines. These discussions have already started. The council would like to see the cost of the best size project possible with all amenities, within budget limitations. Cost estimates are still being refined but at this time it appears to be in the area of $75 million. Because of the size of the budget, the Council may want to see the cost of building only the pool. In addition to the property tax increase, other funding options need to be part of the process. These include property acquisition, state grant programs, county money, and other grants. 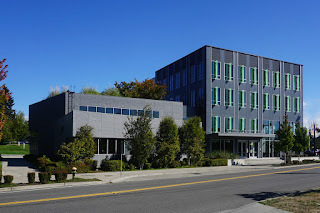 Since the old pool is a King County facility funded through Forward Thrust, Shoreline has expressed its desire to maintain the partnership with the County. Even with these resources it is agreed that the bulk of the financing will come from increased property taxes. But the intent is to share the financial responsibility of providing for recreation facilities, such as new parks, open space and recreation facilities that support future growth, with the development that grows our population and economy. With the discussion coming to a close, the Council Meeting was adjourned at 7:41pm. A video of the meeting, a copy of the Staff Report and the PROS PLAN are available on the City of Shoreline website. An amazing job on these notes. Thank you Ms. Cross, this is much appreciated!